A new Punch will debut at next month’s trade show, and it marks several firsts: It will be the first Punch from brand owner General Cigar made outside of Honduras, and it’s being called the strongest cigar ever from that venerable brand, which has been made since the 1960s. Punch Diablo is being rolled in Nicaragua by A.J. Fernandez, a cigarmaker known for making strong smokes. 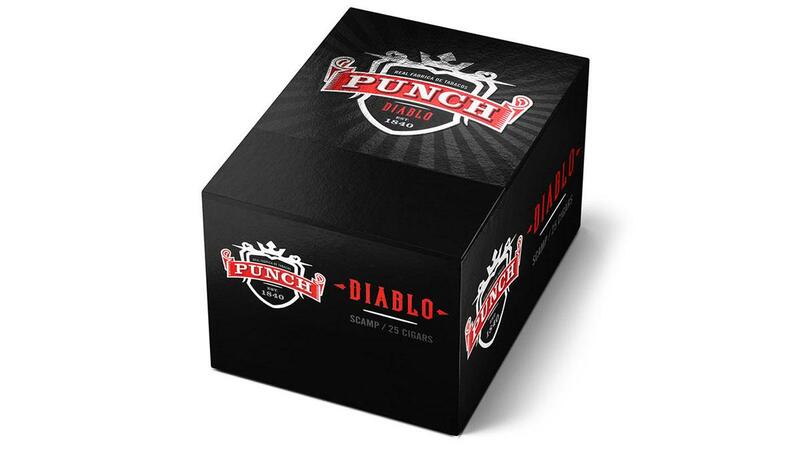 “When it came time to create the blend for Diablo, we decided that we wanted to make the fullest-bodied Punch to date,” said Ed Lahmann, senior brand manager for Punch. Punch Diablo Scamp, one of the brand's three sizes, measures 6 1/8 inches by 50 ring gauge. Fernandez made the cigar from a four-country blend of tobaccos. The wrapper is from Ecuador, a Sumatra-seed leaf General is calling oscuro. Another dark leaf was used for the binder—broadleaf from the Connecticut River Valley outside of Hartford. The filler is a mix of Nicaraguan and Honduran leaves grown from Cuban seed. General said the cigar would be medium-full to full in body. 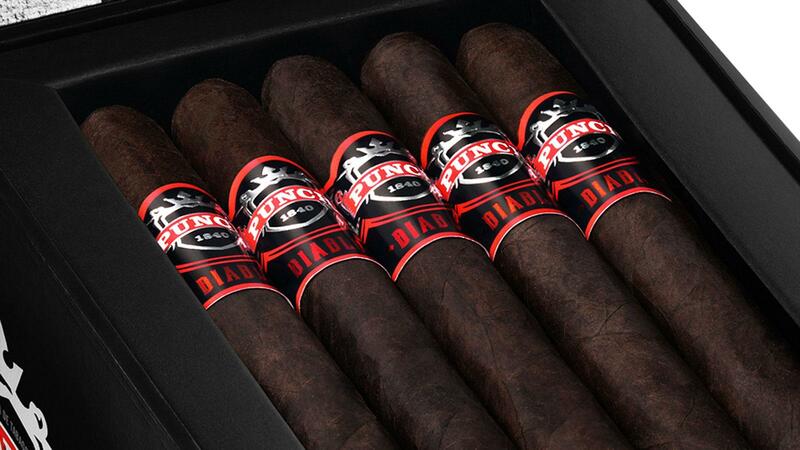 Punch Diablo is wrapped in a Sumatra-seed leaf from Ecuador that General is calling oscuro. The promised power level and the vitola names all match with the Diablo brand name—Diablo is the Spanish word for devil. 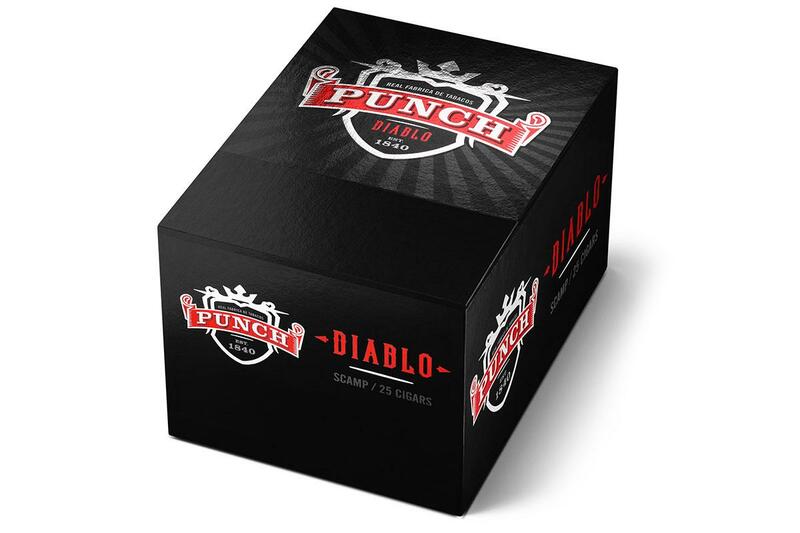 Punch Diablo comes in three sizes. Scamp measures 6 1/8 inches by 50 ring gauge and has a suggested retail of $7.19; Diabolus is 5 1/4 by 54 and sells for $7.79, and Brute is a 6 1/4 by 60 smoke with an $8.19 price tag.